Fitbit is looking at ways its wearables can identify irregular heartbeats, which could help prevent strokes and other heart-related health issues. Speaking to Time, Fitbit director of research Subramaniam Venkatraman revealed that the company is already in the early stages of exploring how its PurePulse heart rate sensor can detect atrial fibrillation, identifying periods in which abnormal heart beats may be occurring. Symptoms of atrial fibrillation include dizziness, chest pains and shortness breath, but not all experience those symptoms making it more difficult to detect without a physical examination. Fitbit is hoping that it can play its part in those scenarios to improve detection rates. Venkatraman revealed that the technology could take the shape of a symptom checker built into Fitbit's companion app analysing symptoms combined with data from its heart rate sensor. It's also exploring the idea of a system that alerts users when they should make a visit to the doctor. Venkatraman also said it was likely the tech would work with existing Fitbit hardware, but it's still evaluating the best path to bring the tech to market. There is a hardware issue though and that lies with optical heart rate sensors. Venkatraman explains that using the current light based setup is only reliable for detecting arrhythmia when the user is stationary or asleep. It could mean that Fitbit might require looking at an EKG-style heart rate monitor setup, which is seen as more reliable at detecting arrhythmia. That has it downsides as well as it's more difficult to continuously monitor throughout the day. Fitbit's research and development team are apparently seeing "very promising early results" according to Venkatraman as far as building a data set and using its heart rate sensors to detect atrial fibrillation. He also stated that Fitbit would, "work with the appropriate regulatory agencies to make sure we're doing this the right way" when it comes to detecting atrial fibrillation. 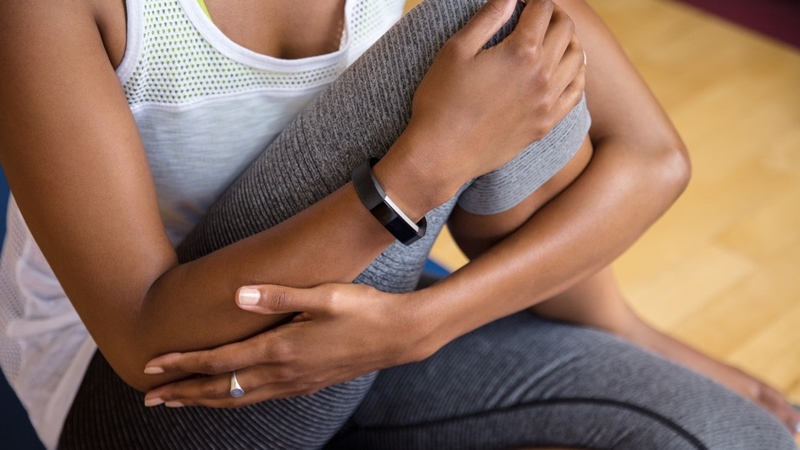 This isn't the first time we've heard Fitbit talk about wearables beyond fitness tracking. Back in June, Fitbit's lead research scientist confirmed that the company was working on devices that can track and diagnose sleep apnea, a sleep disorder that can lead to an increased risk in heart failure, obesity and can even cause a stroke. All eyes are on the company right now as we anticipate the first ever Fitbit smartwatch. Leaked images and details point to a design inspired by its watch-like Blaze fitness tracker and features including GPS, NFC payments, music streaming and will launch with its own app store.